You enter a tiny, cramped corner of a concrete building, one of the many shop-turned-offices lined up in an alley behind a Taoist temple. In the room, the lone desk and gaggle of stools that surround it are already crowing up the tight space. The walls are decorated with feathers, tassels, posters and colorful signs of good fortune. An unassuming person in plainclothes looks up from the desk and invites you to sit. This is the person you entrust to guide the biggest decisions in your life, whether related to love, health, business or family. This is your fortune teller, trained in the arts of face reading, palm reading, fortune sticks predictions, and bazi. 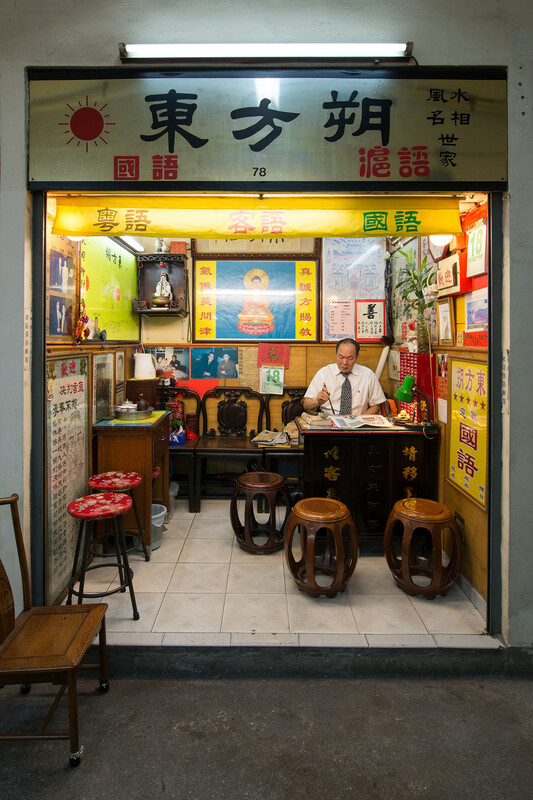 Though this practice may sound out of the ordinary to some Western ears, fortune markets are a staple of Hong Kong's society. Photographer Kris Vervaeke captures the unlikely sites of supernatural wisdom in his colorful series, "The Fortune Market." The artist was drawn to the bizarre ritual of shopping for good fortune from an objective perspective, as if he himself was scanning the alley, looking to purchase the future of his choice from an absolute stranger. "The fortune tellers have different backgrounds," Vervaeke explained. "For some the job is passed on from each generation to the next within a family. Others learn it from a Master or through other means. The future of the shops is uncertain, however, as finding someone interested to take over is getting more and more difficult." He also added that the rise of online fortune telling puts the physical institutions' futures in jeopardy. The intriguing series shows the intense contrast between the unkempt, commercial spaces of the fortune markets and the majestic issues discussed and decided within them. One of the few urban sites of supernatural guidance, the fortune markets maintain an uncanny charm despite their modest appearance. Vervaeke explains: "The series presents the fortune telling and the uniqueness of this old traditional business that goes back centuries. It delves into faith and superstition that still rules daily life in Asia in many ways." 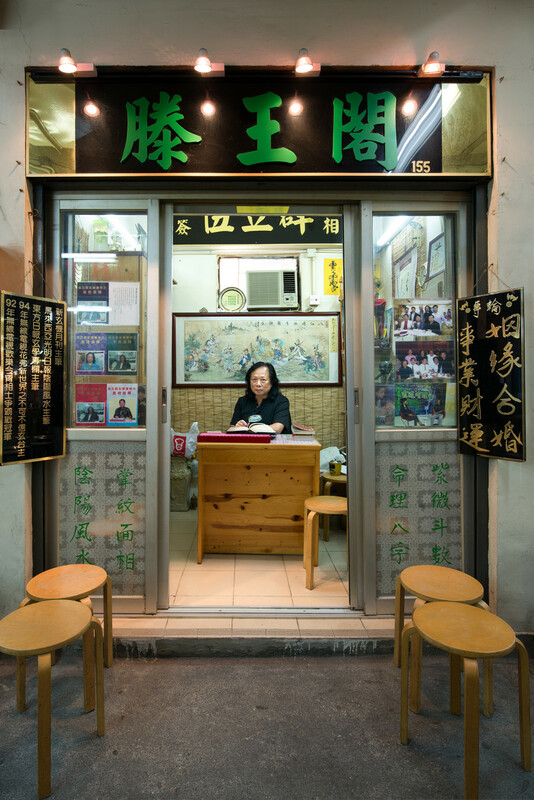 Whether these fortune tellers are regarded as spiritual icons or business consultants, their abilities are highly sought after, at least for the time being. See the supernaturally inclined spaces below and let us know your thoughts in the comments.